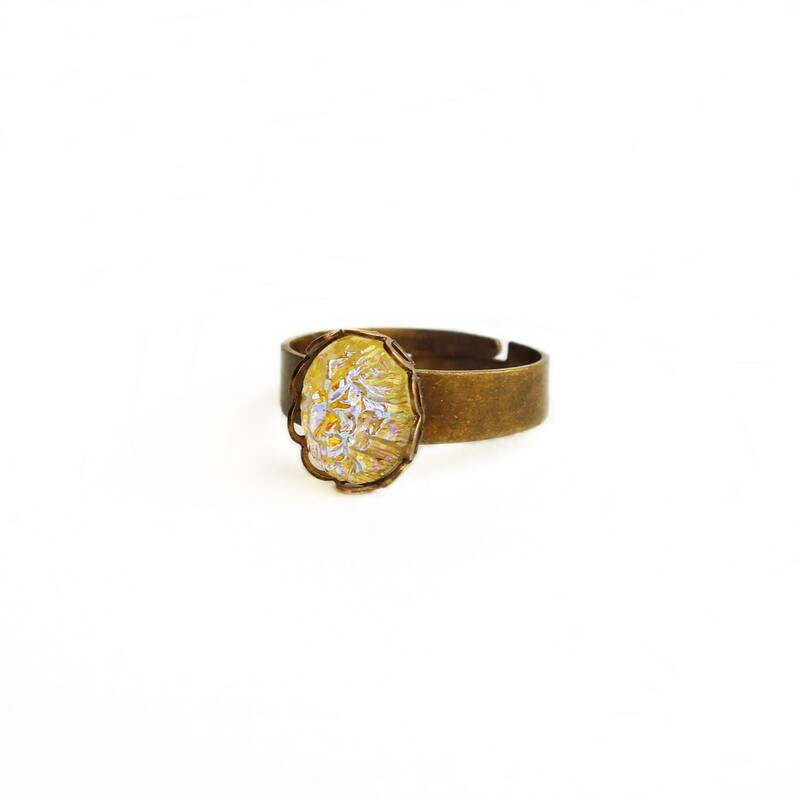 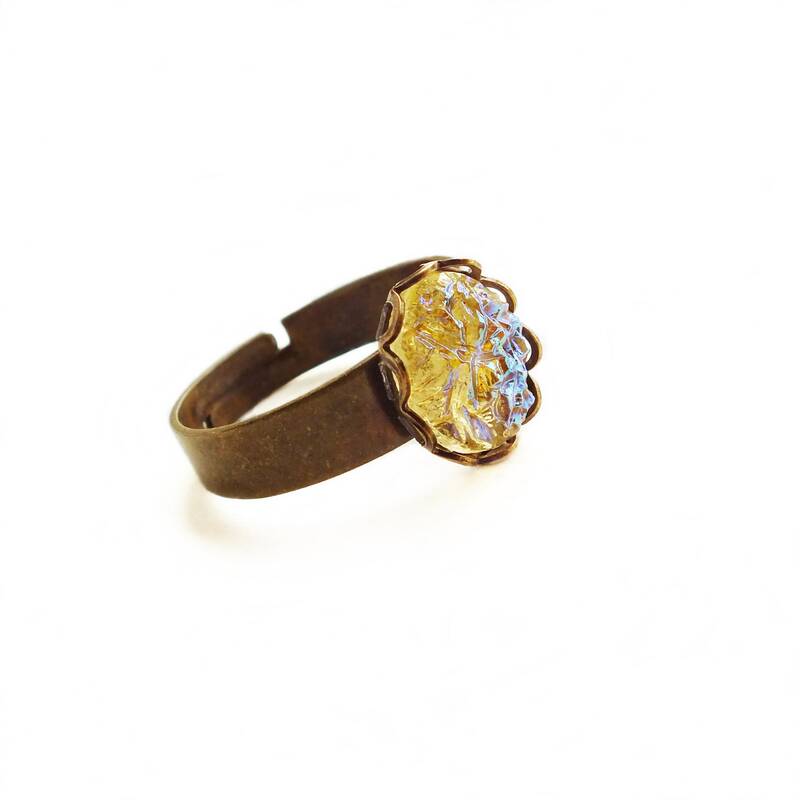 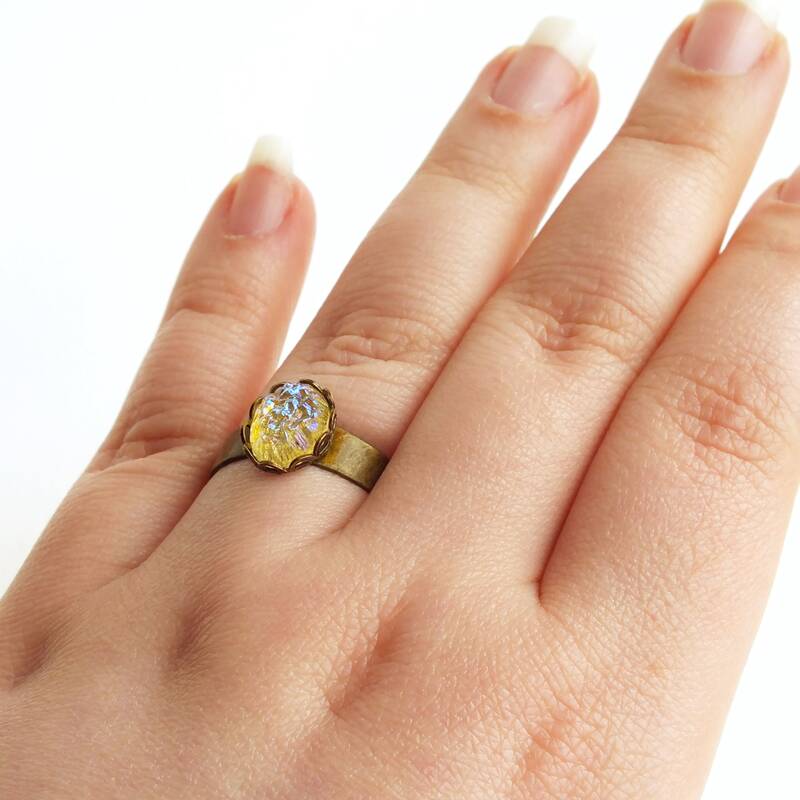 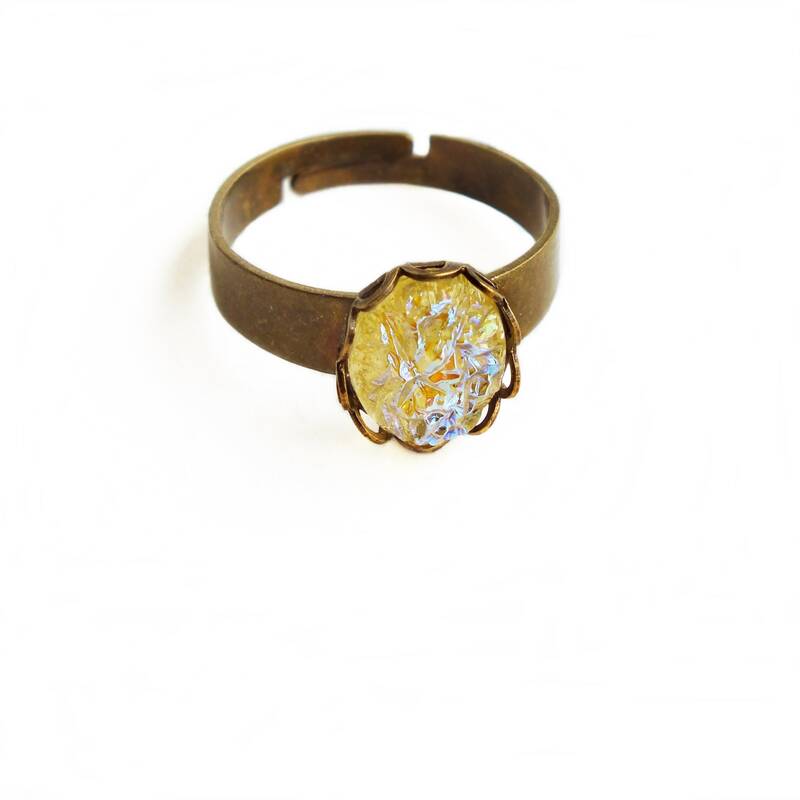 Small handmade iridescent yellow crystal ring with vintage yellow glass stone and adjustable brass ring. 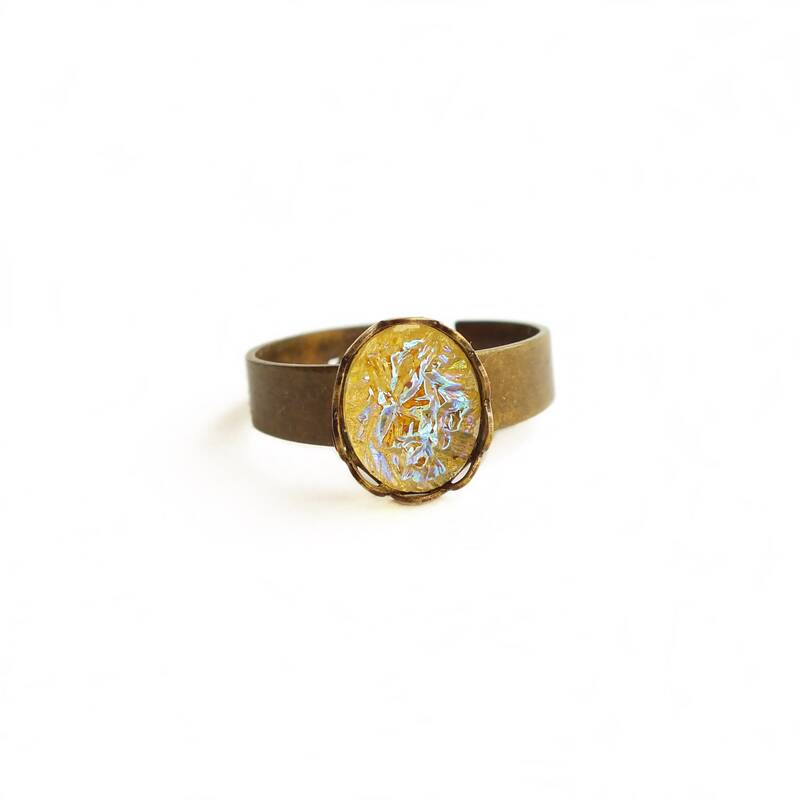 Small statement ring made with a very rare genuine vintage yellow glass cabochon with a bumpy druzy style texture and an amazing blue/violet iridescent coating. 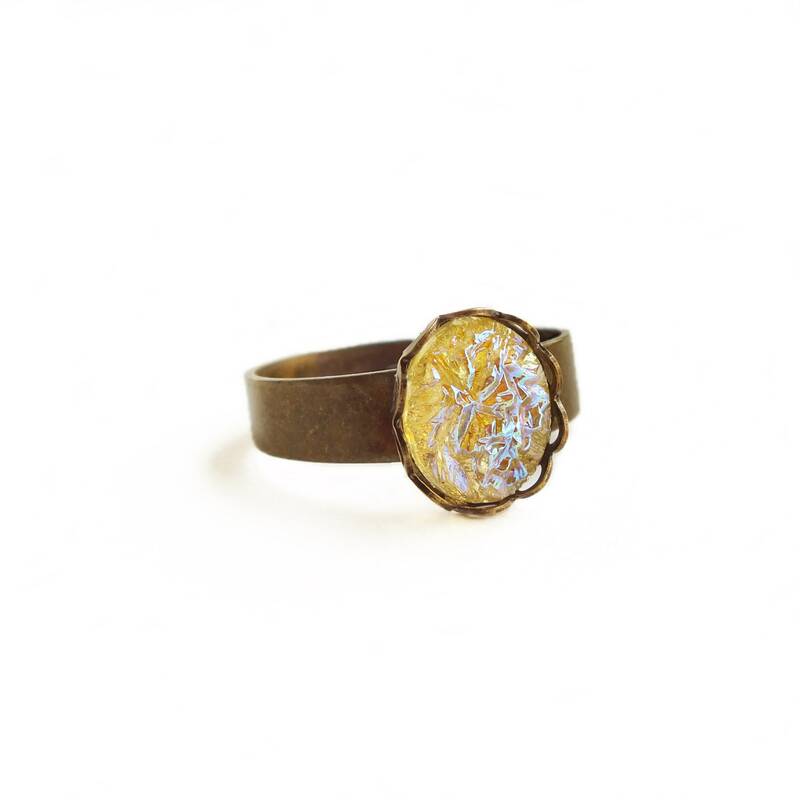 The colors are much more complex in person!